Terry is Professor and Canada Research Chair in Distance Education, Athabasca University his networking interests and research include publications on social networking in education application and an ongoing development of an ELGG based system at Athabasca University. He also works with Jon Dron and George Siemens in developing theoretical and connectivist approaches to networking that integrate formal education with lifelong and informal learning. Finally, Terry is the editor of the International Review of Research in Open and Distance Learning (free subscriptions at http://www.irrodl.org ), the most widely read open access journal focussing on distance education and e-learning. Tara Fenwick is Professor of Professional Education at the School of Education, University of Stirling in Scotland. Her current research and teaching focus on professionals’ work, with particular interest in professionals’ knowledge sources and strategies in complexity, and the changing nature of professional responsibility. She is the Director of ProPEL, an international network for research in Professional Practice, Education and Learning based at the University of Stirling. Her most recent books include Actor-Network Theory in Education (Routledge 2010) with Richard Edwards, Knowledge Mobilization and Educational Research: Politics, Languages and Responsibilities (Routledge 2011) with Lesley Farrell, Emerging Approaches in Educational Research: Tracing the Socio-Material (Routledge 2011) with Richard Edwards and Peter Sawchuk, and Educating the Global Workforce (Routledge 2007) with Lesley Farrell. 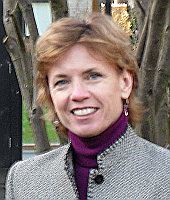 Judi Marshall is Professor of Leadership and Learning at Lancaster University Management School, which she joined in 2008. Judi currently works on a range of leadership for sustainability activities, including the Lancaster MA of that title and a Higher Education Innovation Funded project to develop a networked learning Leadership for Sustainability Learning Network. The MA is developing work undertaken at the University of Bath where she was co-initiator and Director of Studies for the MSc in Responsibility and Business Practice, an innovative action research-based programme addressing sustainability and social justice issues and business, launched in 1997. Her interests include inquiry as life practice, action research, women in management, systemic change, the gendering of corporate responsibility and ‘responsible’ careers. She always seeks to integrate inquiry, research, practice and life. The Plenary abstracts are available in a pdf document which also contains the full conference timetable.